AMANAT ALI started the second episode WILL of COKE STUDIO 3 with a beautiful performance. 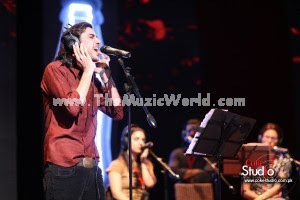 Making his first appearance on the Coke Studio platform Amanat Ali mesmerized all with his rendition of ‘Aisha’. Originally written in French and since translated into 12 different languages, Amanat Ali performs the first known Urdu version of this internationally popular track on Coke Studio 3. To download AISHA by AMANAT ALI (COKE STUDIO 3), click on the links given below. I have always had a closed mind about diverse cultures but until I got acquainted (over the internet) with someone who lives in Pakistan,(regardless of what had happen with the 911) I have fallen madly in love with their culture, music, way-of-life and just about everything. I am an American and I would have to say with all my heart that God Blessed me to have an open mind about all cultures now. Thank you for making such great up lifting music. visit www.teenfootballfuture.blogspot.com for new and latest football trials all around the world.